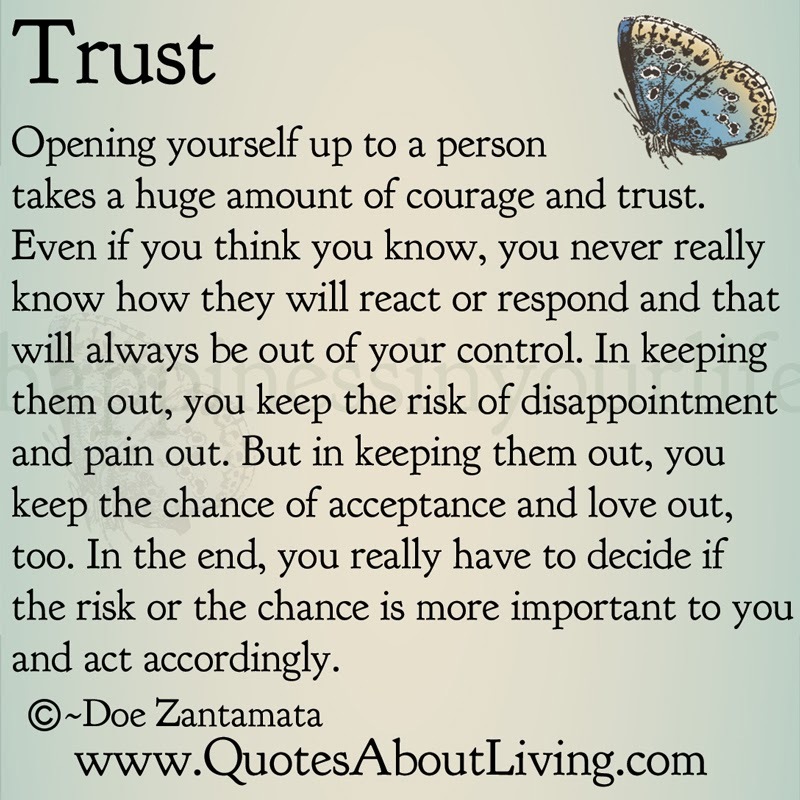 Opening yourself up to a person takes a huge amount of courage and trust. Even if you think you know, you never really know how they will react or respond and that will always be out of your control. In keeping them out, you keep the risk of disappointment and pain out. But in keeping them out, you keep the chance of acceptance and love out, too. In the end, you really have to decide if the risk or the chance is more important to you and act accordingly.